 ACPA strongly advocates for all major airports to have the necessary equipment to offer both lateral and vertical guidance and high intensity lighting to allow pilots to orient aircraft for landing. Many runways at Canada’s largest airports lack the ground-based navigation systems which provide vertical guidance – that is, the distance between the aircraft and the ground – to orient an aircraft for landing. I was under the impression that an altitude reading is always available through the radio altimeter or the barometric altimeter. Why would such a "ground-based navigation system" that provides "distance between the aircraft and the ground" be needed? What can it provide that the regular altimeters on board cannot provide? They mean an ILS - Instrument Landing System. A localizer component, which tells the angle between the aircraft's position and the extended runway centerline. In short, it tells the pilot whether they are left or right. A glideslope component, which tells the angle between the aircraft's position and the extended runway surface on the ground. Typical glide slope angle is 3 degrees. In short, it tells the pilot whether they are high or low. 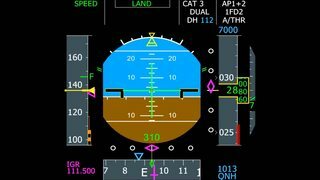 An ILS is usually coupled with an DME (Distance Measure Equipment), which tells the distance between the aircraft and the runway threshold. Using the glideslope angle together with the horizontal distance, one can compute the height above runway level. Which means only the lateral (left or right) component is available, there is no signal which tells the pilot whether they are high or low relative to the ideal descent path. A radio altimeter is not very useful when the approach path leading to the runway has uneven terrain. It tells the height above the ground directly under the aircraft. A barometric altimeter needs to be calibrated by a reading at ground level. It tells the height above sea level. Both of these altimeters cannot tell the height above runway level. Therefore the pilots must rely on other data to monitor the descent profile, which increases the pilots' workload. In a situation such as low visibility and high crosswinds, this presents a very challenging situation. 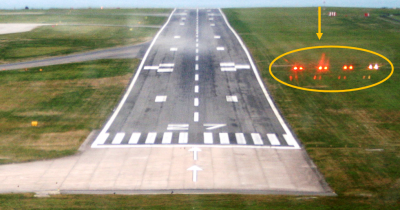 If both vertical and horizontal guidance is available, then the pilots can simply follow this guidance all the way to the runway. They can also program the autopilot to follow this guidance, if suitable equipment is installed on the ground as well as onboard the aircraft. Note the green bars: one is horizontal and one is vertical. They form a cross on the display. If the horizontal bar is up a little bit, the pilot would pull up a bit. If the vertical bar is to the right, the pilot would turn right a bit. These green bars only possible when ILS is used. It is possible to compute the relative height by using a DME and a barometric altimeter only. For example, I am now 5.5 nautical miles from the runway threshold, and according to the approach chart, I should be at 1,800 feet. Right now my altimeter reads 1,600 feet. That means I am too low and I should reduce my vertical speed to slow down my descent. This calculation has to be done by the pilot himself and not by a computer. Furthermore the pilot must fly the plane, i.e. adjust the control surfaces, run landing checklists, visually verify the alignment with the runway, talk to ATC, set the flaps etc. A pilot is trained to do all this, but increased workload also increases the chance of making an error. Not the answer you're looking for? Browse other questions tagged landing approach accident-investigation altimeter non-precision-approach or ask your own question. What are the differences and benefits between/of time-based vs distance-based separation? What are the effects of headwind on ground speed and take off run? Barometric altimeter data during high vertical g-forces?